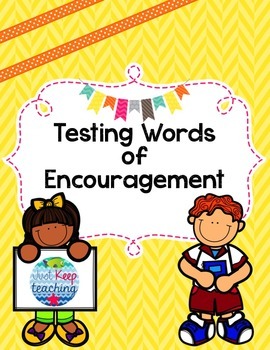 Test Encouragement Notes- print and cut, ready to go! 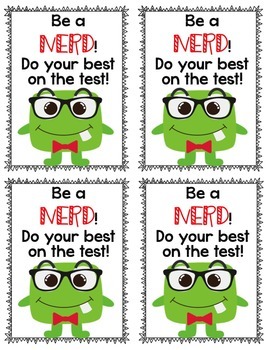 This was a fun little idea that I decided to make for my students to help them relax before their state test. I hope that you find this product just as useful! - "An APPLE a day keeps the test stress at bay!" 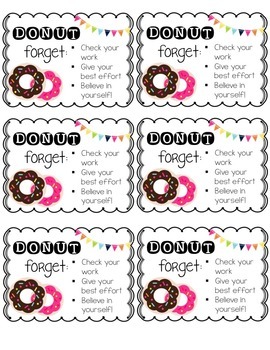 - "DONUT forget: check your work, give your best effort, believe in yourself"
- "Be a NERD! Do your best on the test!" 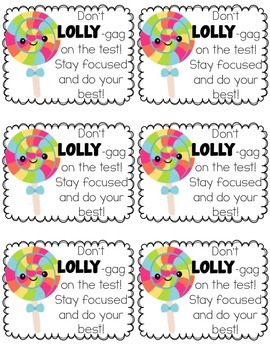 - "Don't LOLLY-gag on the test! Stay focused and do your best!" I tried to keep the Growth Mindset in my head when creating these by encouraging the students to do their best, whatever that may be. Enjoy and don't forget to earn your TpT credits by leaving feedback!